TINA LOUISE BARR is a virtuoso and is credited as the “powerhouse performer” of the autoharp. Tina is acclaimed for her concise melody picking and dynamic performances. A leader in her field, Tina Louise Barr gives autoharp workshops at music festivals across the U.S. Her amazing versatility with the autoharp is limitless in style. Tina Louise Barr’s trademark “high-geared” instrumentals have earned her the distinction of being able to produce concise melody with powerful dynamics on the autoharp. Tina is well-known for her remarkable clarity on the autoharp, and she is equally adept in mastering crystal-clear melody on sweet delicate musical pieces as she is with lively selections. She blazes new musical pathways on chromatic, diatonic, or any other type of autoharp. Tina gives solo performances and also performs with her band, Tina Louise Barr and Hot Wire, based in the central valley of California. 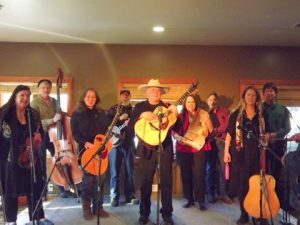 Tina also performs with the Brookdale Bluegrass Band from Santa Cruz, CA. She has been featured at the California Autoharp Gathering with her former band, the Compadres (which included a drummer), as well as with the Black Irish Band, the Red Dog Ash Band, Ray Frank, Barry Schultz, David Rainwater, and Bryan Bowers. 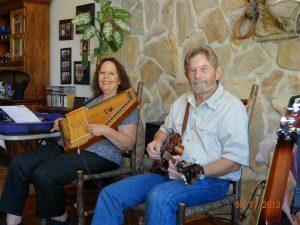 Tina has been a featured performer at numerous music festivals, including as a repeat main performer at the Mountain Laurel Autoharp Gathering, Willamette Valley Autoharp Gathering, and the Glendale AZ Folk & Heritage Festival. She has been interviewed in the Autoharpoholic, Autoharp Clearinghouse, and Autoharp Quarterly magazines. She is a staff member of AQ. Tina was featured on the Autoharp Legacy CD anthology, on which she recorded an instrumental duet with Ron Wall in Nashville, Tennessee. She has recorded numerous CD’s as a guest with the Black Irish Band. 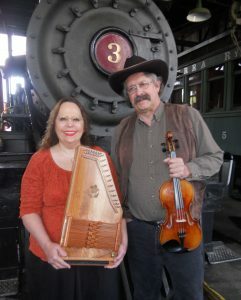 Tina is featured on a CD with David Rainwater, titled Fiddle and ‘Harp. Tina has won numerous musical competitions, including top awards in the International Autoharp Championship. She is a winner of the Modesto Area Music Association (MAMA) Award, in the “Best Americana” category. Tina Louise Barr is a recipient of the California Bluegrass Association Service Award. Tina Louise Barr is an honoree of the California Autoharp Gathering’s Lifetime Achievement Award “to commemorate her extraordinary skills in performing, teaching, and inspiring autoharp enthusiasts from all over the world”. Her methods in teaching the autoharp have been acclaimed as “logical, sensible, and achievable”. Tina Louise Barr returns as an Early Bird Academy instructor at CAG this year, and she welcomes you into becoming more than just a better autoharp player, but a better musician, as well. Tina invites you to join CAG-2017 for a musical experience in study, discussion, and jamming. Get ready for a good time, as Tina’s performances are definitely played straight from the heart.